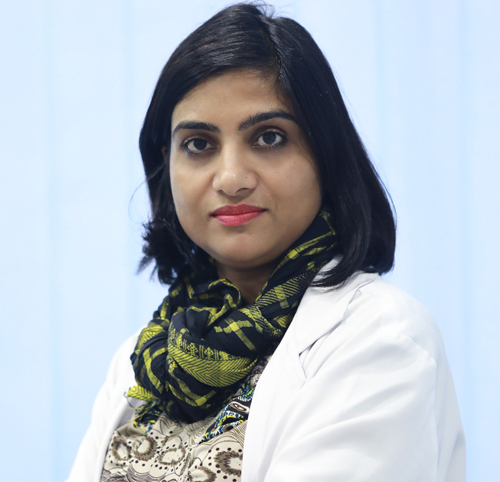 Dr Shaloo Goyal has more than 8 years of post DNB experience in Diagnostic radiology. After attaining MBBS from Govt. Medical College & Hospital, Amritsar, India, she went on to obtain her post-graduate degree in Radiodiagnosis - the Diplomate of National Board (DNB Radiodiagnosis) - N. B. E. New Delhi, in 2008.She then pursued training in Radiology at the prestigious PGIMER (Post Graduate Institute of Medical Education and Research), Chandigarh, India. She has also cleared Fellowship of Royal College of Radiology, London, England (FRCR) 2A Exam in Oct 2015. She is a life member of Indian Radiologic and Imaging Association (IRIA) and Corresponding Member of European Society of Radiology (ESR). She was awarded Membership of National Academy of Medical Sciences (MNAMS), New Delhi, India in 2015. Presently she has strengthened the female radiologist's work force in Global Hawk Imaging and Diagnostics, Dubai (UAE) as a competent specialist Radiologist since early 2017. Dr. Shaloo is a general radiologist with special interest in woman's imaging. GHID is a world class JCI accredited chain of trusted diagnostic centers within the flagship of Mulk Health care in partnership with Mulk Holdings, under the patronage of HH Sheikh Majeed Saeed Rashid al Naomi, director general of Ajman rulers office.